Get a Healthy Lawn - And Keep it That Way. Having treated Gainesville area lawns for over the past decade, we are the only team you can trust to know our local specialized turfgrass needs. Our program is built on more than simply pest control, it's built to make your lawn healthy again. We love lawns, and we want to make sure you love yours, too. is worth a poud of cure, is the old saying. We not only treat active concerns in your lawn, but we also make prevenative applications to reduce the chance for problems later on. There is no substitute for safety. 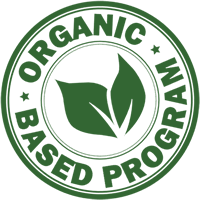 At Master's, we take great pride in giving you the peace of mind that an organic-based IPM program brings you. Why is The Master's Different? 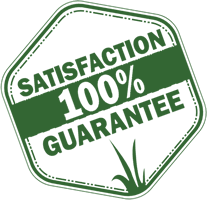 By using better ingredients and creating a specialized program designed from your free initial lawn analysis, we can keep your lawn more lush and healthy than anyone else because we plan ahead and tackle the small problems in your lawn before they become huge. Fill out the form at the top; or call (352) 378-5296 to get started and receive your first month for only $19.95 today. For more information about our company, team, or other services, click here. I can’t begin to tell you how much Master’s Lawn Care has changed my life!! Everyone comments on my flowers and my lawn and your response to my concerns are immediate. Chuck took my vision and made it a reality - your team makes me feel like I am your only customer! Thank you!! There is so much more to having healthy grass than just cutting it. You need to treat it for bugs and weeds as well as the proper watering. His team educates you on those items, and then shows you amazing results. You can't find a better lawn care company! TMLC is great! The whole company is fantastic to work with. They are responsive and their work speaks for itself. Any yard, landscaping, or irrigation needs can be met by them! I came home Thursday and found Joe (lawn fertilization technician) pulling weeds in my grass. I asked him why, and he said the product he used did not kill them and he did not want to waste more time and money on a chemical that didn't work. Now that is dedication! He does such a great job on our lawn! The Master's Lawn Care never disappoints! They have been providing lawn care at my office for year or so. All of the guys are very professional and their attention to detail is second to none. They even go above and beyond the normal service. I would highly recommend them to anyone looking for a quality job! Frustrated by my own ill-informed efforts, I connected with TMLC and the team has transformed the property. Judy and I couldn't be more pleased. Moreover, they are always responsive to questions, and the result is a sense of trust that frees me up! 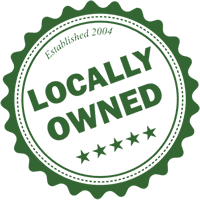 We are the only team you can trust to know our local specialized lawn health needs. 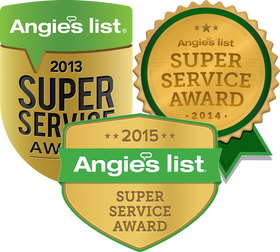 Our program is more than just pest control, it's built to make your lawn healthy again. Our Ornamental Treatment program includes treatment and fertilization of your flowers, perennials, shrubbery, and ornamental trees to keep them vibrant and appealing in your landscape. Gainesville lawn pest control includes prevention and control of chinch bugs, sod webworms, mole crickets, spittlebugs, grubs, armyworms, and other insects that damage Gainesville lawns.